More than just hot air - Webasto heating systems are integrated into cars, buses, trucks, construction equipment and boats. This compact heater's hot air fan provides you with customized air temperatures, independently from the engine. More than just hot air - Webasto heating systems are integrated into cars, buses, trucks, construction equipment and boats. This compact heater's hot air fan provides you with customized air temperatures, independently from the engine. Moisture and cold air stay where they belong: outside! 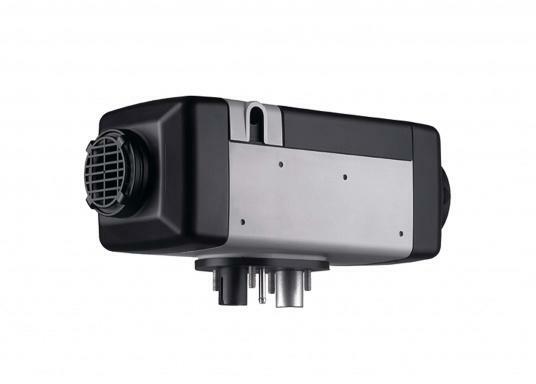 Webasto air heaters are especially known for their: Easy installation, low price and consumption, quiet operation, variable ventilation function and the Marine Installation Kit, which is included in its delivery. An improved output control on newer models provides an even greater degree of comfort. These heaters also use less fuel and are much quieter. They also offer an automatic cold start function, which can heat a cold yacht within a very short period of time. This has been achieved by optimizing the fuel pump and fan speed controls. We supply all Webasto hot-air heating units with a complete Marine Installation Kit. The supply and hot-air duct pipes, pipe connectors, elbow-pipes, clamps, reducers and outlet nozzles do not come supplied.